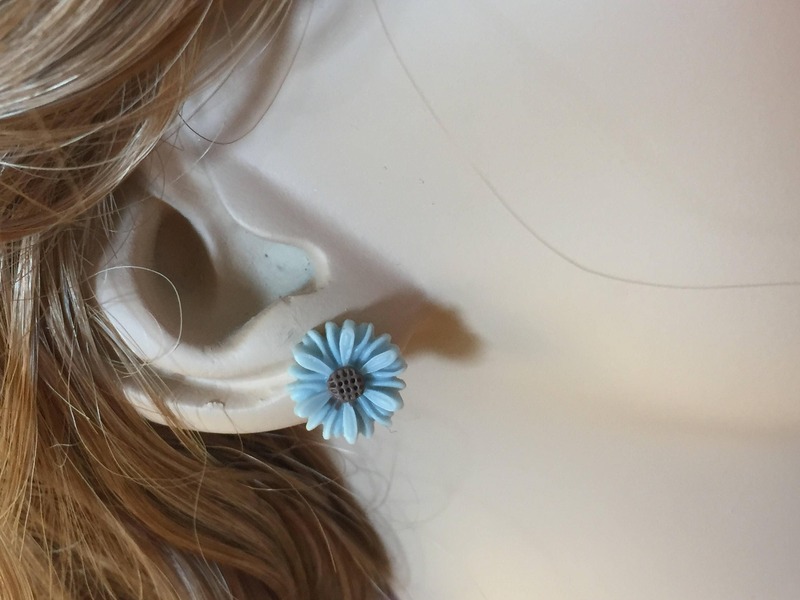 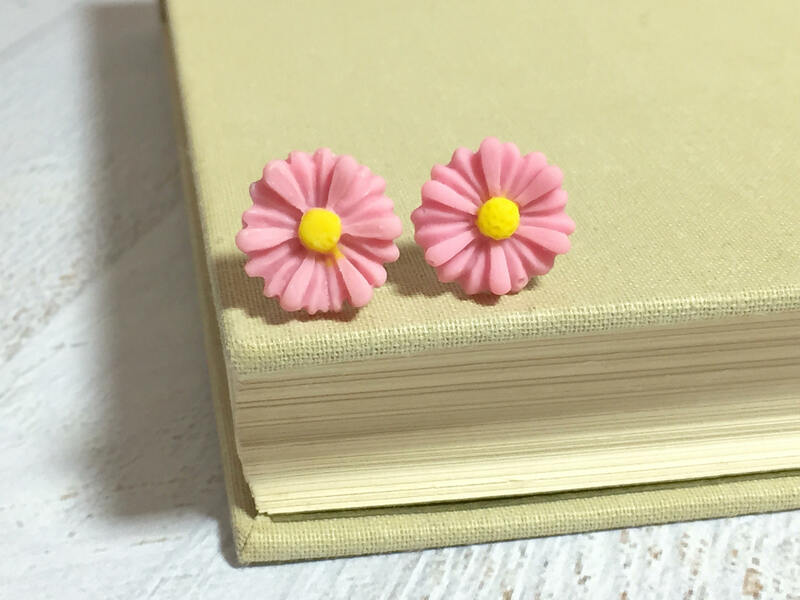 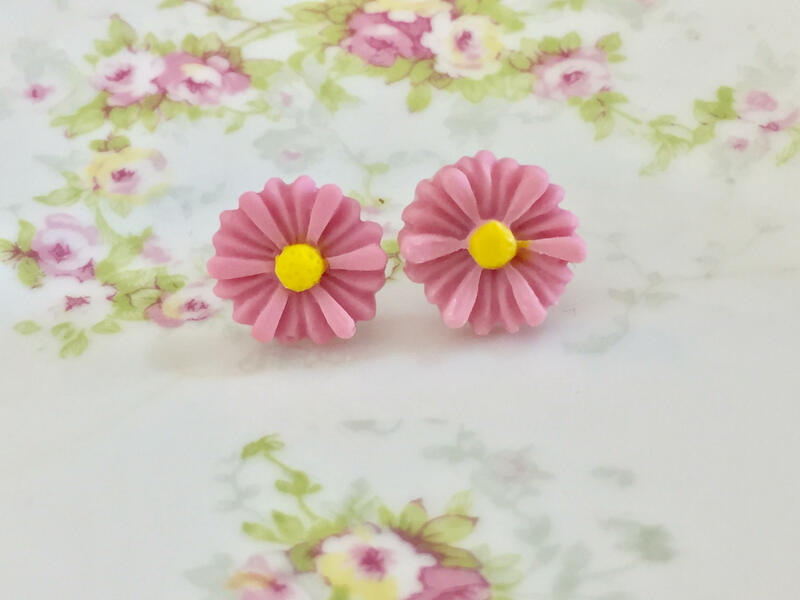 These lovely detailed gray pink hued lavender daisy flowers with yellow centers stud earrings are just perfect to add a cheerful summery touch to your earlobes any time of the year. 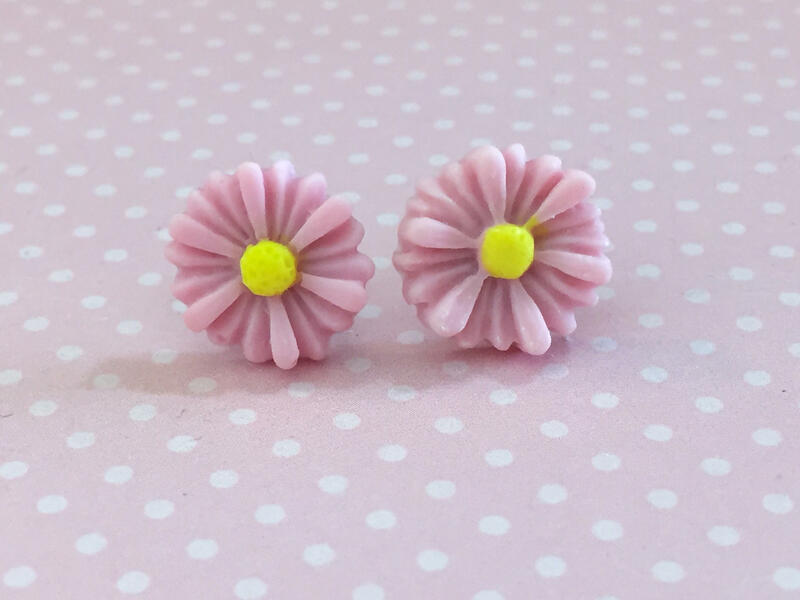 You are purchasing a pair of earrings like those shown measuring approximately 13mm (just over 1/2 inches). 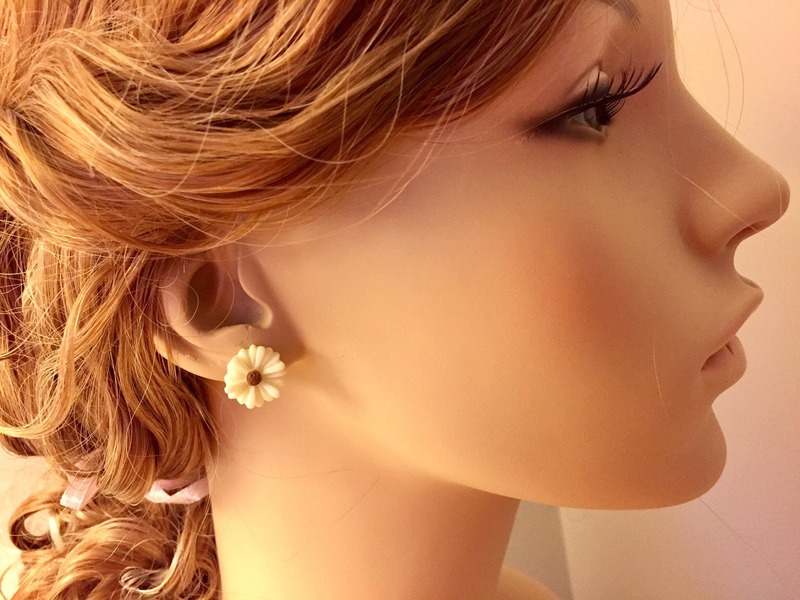 I securely affixed the pretty daisies to surgical stainless steel ear posts.